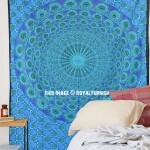 To bring contemporary elements to bedroom or dorm room interior pick online decorative Indian mandala hippie wall tapestries from Royal Furnish. 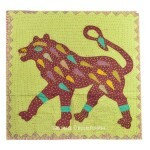 They are made in India by screen printing process on cotton fabric. 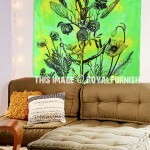 To highlight room interior choose color and patterns which suits with home furniture. 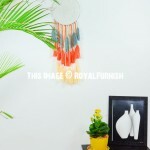 At Royal Furnish you get multiple colors including blue, green, red, purple, black and white, brown, rainbow, beige, teal, orange, red, pink, yellow and grey and brilliant designs including star, elephant & parrot, floral and some others. 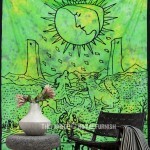 These hippie and trippy tapestries wall hangings come into queen size and twin sizes. 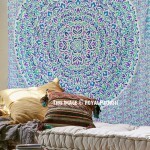 Hang up mandala tapestry on headboard to give a royal edge to bedroom interior which make you feel cozy and comfortable. 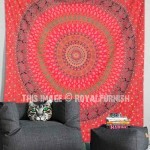 The mandala tapestries comes with round circle designs along with elephant, birds, parrots so many hippie designs and can be used as bedding sheet. 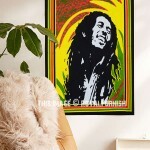 If you are looking for inexpensive way to decor dorm/bedroom interior wall tapestry is perfect way to decor. 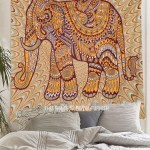 Additionally, explore our other categories of Indian tapestries wall hangings tree of life, beaded tapestries, patchwork wall hanging, elephant wall hanging, embroidered tapestries.